Ronald Jarrett looked at the video screen on the witness stand in the Family Secrets trial on Tuesday and saw the image of a mustachioed face staring back. "That was my father," he said of Ronnie Jarrett, a noted Outfit hit man and bookie who was gunned down in 1999. The younger Jarrett, 35, was one of a series of prosecution witnesses called Tuesday to corroborate some of prosecution witness Nicholas Calabrese's key testimony over the last week about mob murders, how the Chicago Outfit made its money and what role Frank Calabrese Sr. and other defendants played. Jarrett, in a white dress shirt and buzz-cut hair, testified that his father was a member of Frank Calabrese's Outfit crew and ran a gambling operation. When his dad was sentenced to prison in 1980, both Calabrese brothers dropped by to visit him, he said. On his father's release from prison, Jarrett said, the two of them began working together in a gambling ring that took bets on football, basketball and horse racing, among other sports. Some of the money went to Frank Calabrese's family. Ronnie Jarrett bankrolled the operation, his son said, keeping cash in a bedroom drawer or a coat pocket in his closet. The operation expanded to two offices, one in Burbank and another in Chicago, Jarrett said. Gambling slips were hidden in the ceiling of the front porch of the Chicago office, he said. Times were good, he said, until his father's fatal shooting just before Christmas in 1999. Jarrett said he once asked reputed mob figure Nicholas Ferriola who was responsible for his father's death. Ferriola, who has pleaded guilty as part of the Family Secrets prosecution, brought players to the gambling operation, he said. According to Jarrett, Ferriola told him that Johnny "Apes" Monteleone ordered his father's hit. 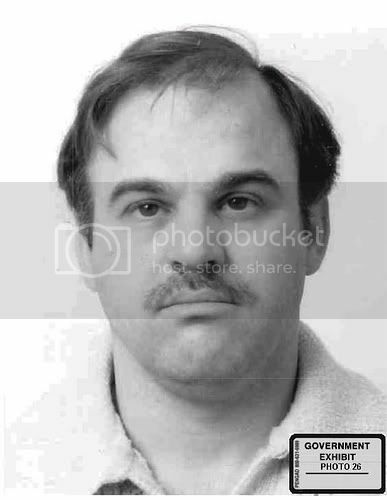 Nicholas Calabrese had testified that Monteleone took over as boss of the Outfit's 26th Street crew after the deaths of brothers Angelo LaPietra and Jimmy LaPietra in the 1990s. "He told me that my dad had a problem with Johnny 'Apes,'" Jarrett testified. On cross-examination by Joseph Lopez, the attorney for Frank Calabrese Sr., Jarrett acknowledged that Calabrese had tried to push him away from bookmaking. Through his questioning, Lopez also suggested that Jarrett's father could have been killed for refusing to let his gambling operation be controlled by Monteleone. To his knowledge, the younger Jarrett said, his father didn't pay "street taxes" to Outfit bosses. In the afternoon, prosecutors called witnesses in an attempt to bolster Nicholas Calabrese's account of the murder of Nicholas D'Andrea, who had been suspected in an attempt on the life of reputed mob capo Al Pilotto on a golf course in Crete. The heart of the government case involves 18 long-unsolved gangland slayings. Calabrese's brother and four other defendants are on trial in the landmark case. Calabrese had described the killing in detail last week, saying D'Andrea had been lured to a garage in Chicago Heights. Calabrese testified he had been told that a tall man and a short man would walk into the garage and that he was to club the short man with a bat. On entering the garage, the tall man took off running, possibly tipping off the shorter D'Andrea, Calabrese had said. It then took several members of the hit squad, including Family Secrets defendant James Marcello, to overpower and subdue D'Andrea, Calabrese testified. D'Andrea's body was later found in the trunk of his car, according to testimony. The surprise of the day came when Terri Nevis, D'Andrea's former wife, said a photo that prosecutors have shown to jurors was, in fact, not her husband. "Absolutely not," she said in a whispery voice when Thomas Breen, Marcello's lawyer, showed her the photo. It remains to be seen how much the apparent error will aid the defense because Calabrese, in his testimony, said he didn't recognize the photo as that of D'Andrea. Calabrese had said that within days of the hit on D'Andrea, Outfit bosses showed him a newspaper story about another murder. He said he had been told that the victim was the taller man who had spooked D'Andrea in the garage. Prosecutors have told the judge they will show jurors that a mobster named Sam Guzzino was killed soon after the D'Andrea hit. The government contends he was the taller man in question. Nevis, who had begun living with D'Andrea when she was 15 and he was in his late 40s, testified that on the day he died, it was Guzzino who called D'Andrea to set up a meeting. "He said to get Nick on the phone," said Nevis, now a 45-year-old mortgage banker living on the West Coast. Another witness, Karen Brill, testified that Sam Guzzino would come by his brother's cab company in Chicago Heights where she worked. The company had a garage that shared space with a bar and brothel called "The Vagabond Lounge," Nevis said. Brill was shown a photo of an old brown garage she said was the one she was talking about -- the same photo Calabrese told jurors appeared to look like the garage where D'Andrea was killed. The good old Vagabond Lounge (house of ill repute) in Chicago Heights - operated with the full knowledge of all the politicos in the Heights. Just goes to show you how crooked politicians are in Illinois.